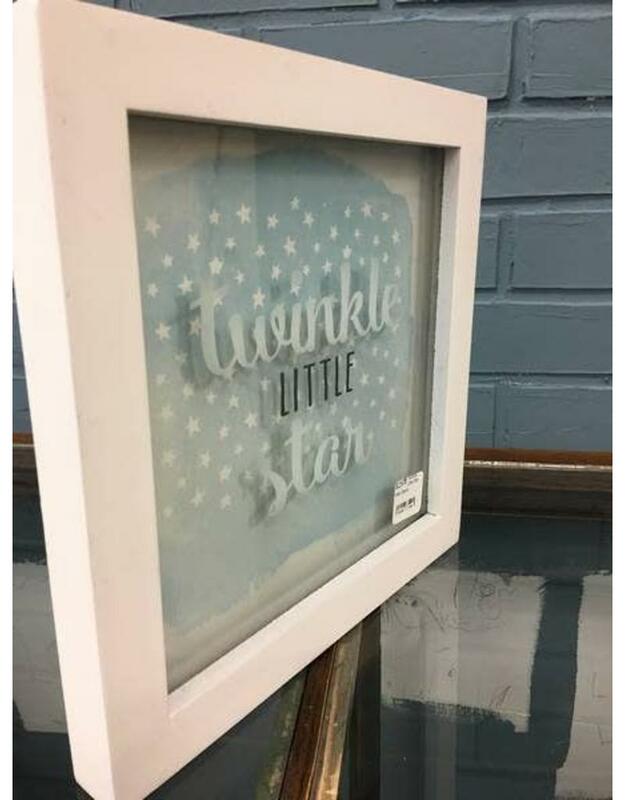 The perfect touch to your little star's nursery! 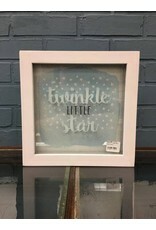 Baby blue and white star background with white frame. 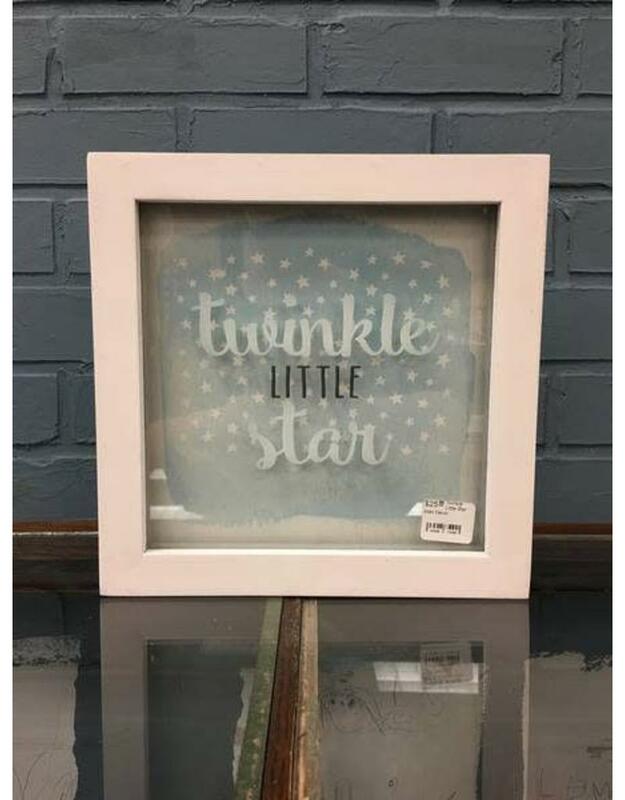 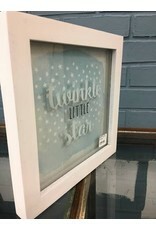 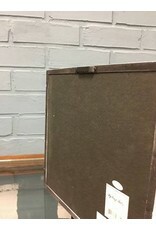 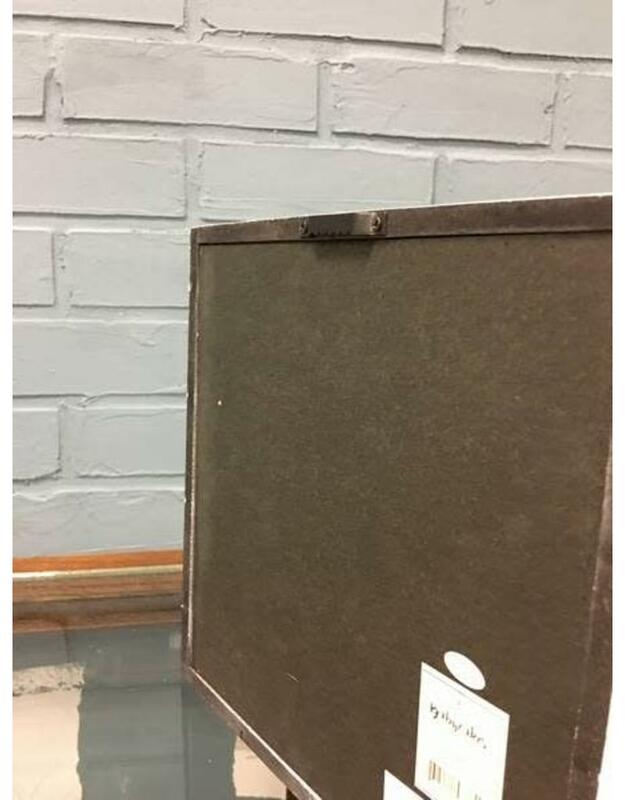 Writing reads "twinkle little star" and is printed onto the glass of the frame.